It is week 35 at Sugar Creek Hollow and our theme this week is "Vintage Texting " we would like to see you use a sentiment or other text into your Vintage or Shabby chic creations this week! Here is my project that I would like to share with you this week. I Started out with a FREE COLLAGE sheet from the Gecko Galz blog hop. Then I created my own digital tags in GIMP. I created the text boxes as well. I used some ribbons and trims from Really Reasonable Ribbon. I used the Brown Sugar Baker's twine, burgundy leaves, Penelope vintage trim, Diamond old gold ribbon, teal & silver metallic ribbon, and champagne sheer ribbon. Here is a collage sheet I created with the images from Gecko Galz. If you would like this collage sheet, then all you need to do is link up your "Vintage Text" creation this week with Sugar Creek Hollow, and then chose to follow me by email (found in the upper left column). I will then send you an email with the collage sheet attached. I am the next stop on your “hop” welcome to my blog! If you started here you might want to go back and start at the begining at the Gecko Galzblog so you won’t miss anything! We have 14 AMAZING blogs for you to visit this weekend, each with some gorgeous projects created using the Gecko Galz collage images, that we are giving you for FREE! 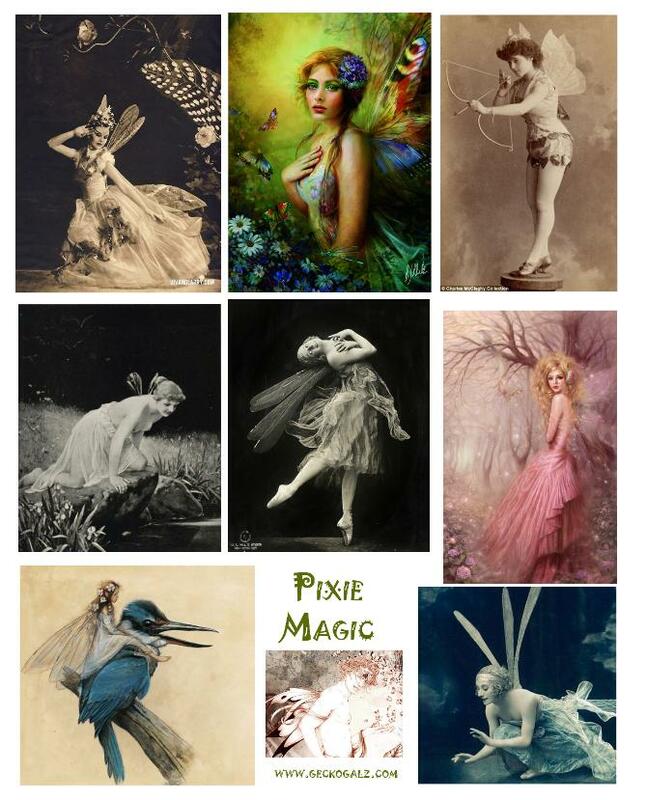 Each blog you visit will have a free Gecko Galz Collage sheet for you to download, mine is "Pixie Magic". Also make sure you collect all the secret words on each blog so at the end of the hop you can enter to win our wonderful treat. So sit back, relax, take your time and enjoy the hop! Second prize is a $50 shopping spree at the Gecko Galz website….you pick it and we send it! First of all, you will need to visit all 154blogs and leave a comment on each blog :) **This is important so we know you have been to all the blogs **. Collect all eleven words and at the end of the blog on the Fripperies and Butterflies site there will be a link to the Gecko Galz website where you will email us the phrase the words make up. This enters you in the contest. On October 31st we will randomly draw the 4 winners and email each of you, then we will post the winning names on our website and on the Gecko Galz blog site. Finally, we are having one more give away! If you post our Gecko Galz badge (found on the Gecko Galz Blog) on your blog or website you will be entered to win a Gecko Store Gift Certificate worth $25 - super easy right? Just post a link to your blog on the Gecko Galz Blog so we can come visit :). Now go to the next site and collect the next word plus your next FREE collage sheet. Here are my creations...I hope you enjoy! I used brown sugar Baker's Twine, Penelope vintage lace, burgundy leaves and newsprint candi from Really Reasonable Ribbon. I inked all my edges with Ranger's Vintage photo distress ink and the text boxes with fired brick. Here is the back of the tag, which I created the digital paper myself in GIMP. Here is another tag. The back of it is similar to the one above. Again I used the burgundy leaves, vintage lace and brown sugar baker's twine as well as Sheer Champagne ribbon from Really Reasonable Ribbon. I took the Gecko Galz image and altered the color and flipped it, to work it into my own digital design. I found a black box with magnetic closure at the Dollar Tree. I used the Gecko Galz freebie collage sheet and some music paper from the Graphic fairy to create my oval. The beautiful brown butterfly was a gift from Leanne, the owner of Gecko Galz. We were swap buddies in our Gecko Galz Yahoo Group, you should come and check us out! I used pretty much the same embellishments but added some ivory mulberry roses and burgundy rosettes are from Pro 31 Designs and Leaves from I am Roses. How about a look at the inside. I took another one of the Pixies, eliminated the background, altered her color and then put her on my own digital paper. Stamp mark is an image from the Graphic's fairy. Here is a look at the inside bottom. I also have a couple cards to share with you. 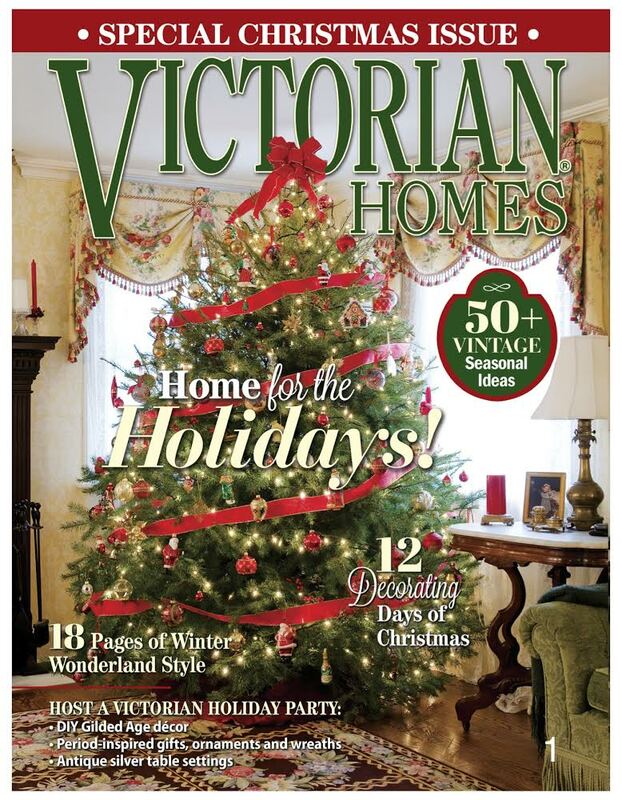 This time I used the same large burgundy ribbon behind my image. I accented with the may arts leaves in moss green, and yellow pom pom trim as well as some yellow rosettes. I used some more of the newsprint candies, this time I inked them fired brick. Here is my last card. Isn't she a beauty!! I just love this freebie sheet from Leanne! How would you like the Thank you tags Digital Sheet I created from the freebie sheet? All you need to do is to follow me by email. You can find that option in the upper left hand column of my blog. Once you are confirmed, I will email you the Collage Sheet. It is week 34 at Sugar Creek Hollow and our theme this week is "Sew Fashionable" we would like to see you work our theme into your Vintage or Shabby chic creations this week! So lets see some stitching and some type of vintage fashion (shoes, hats dresses etc). This week we are lucky to have Live and Love Crafts sponsor our challenge. One lucky winner will receive 6 skeins of hand dyed crinkle ribbon of their choice!! I used the Crinkle ribbon from Live and Love Crafts to create the shabby flower in the lower right. I went ahead and just draped it naturally around the rest of my card. Here is a close up of the flower and my stitching below. Really Reasonable Ribbon Design Team Announcement!! I am so excited!! I have been playing around with some Ribbons and Trims from Bonnie's store over the past couple weeks, and I just LOVE them! If you have never visited Really Reasonable Ribbon, then let me tell you a little bit more about it. 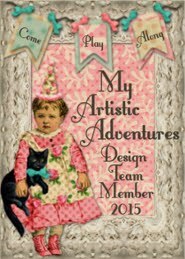 Each month Bonnie (she owns RRR), holds two challenges and a blog hop! The Design Team provides lots of fabulous inspiration!! The challenges are on the first and 15th of the month. One lucky winner of each challenge will receive a $10 gift certificate to the RRR store!! She also has a blog hop on the 13th of each month. The random winner of the blog hop wins the ribbon kit of the month!! So many opportunities to win!! The current challenge this month is a Halloween and Ribbon Theme! I have created another Halloween Ornie below to play along!! I used some fabulous ribbons and trims from RRR!! Moss Green and Burgundy leaves, Orange swirls ribbon, brown sugar baker's twine, Orange Diagonal stripe ribbon, pumpkins and Ivory crochet lace. The moon, witch and orange digital paper are from the Graphic Fairy. The black with ivory script digital paper is one I made myself, as well as the bat template. I used both GIMP and INKSCAPE, to create my template and off set layers. I also used GIMP to change the color of the moon image and get rid of the background behind the sweet little witch image. I inked all my edges, the orange ribbon pumpkin and striped ribbon with Ranger's Vintage Photo Distress ink. I used pop dots to elevate my black bat from the orange bat offset. I used the brown sugar baker's twine to spruce up my vintage buttons. I finished off my jewelry wire hanger with an orange swirl bow and some beads!! I used the orange swirl ribbon to create another bow, and artfully wrap it around my "Happy Halloween" text blocks. I love the little bat charm that I added :0). Why don't you come on over to the RRR blog check out the new Design Team, and link up to the Halloween and Ribbon challenge!! It will be fun!! Maybe you will be the "Best of Show" or one of the "Top three"..or even the random winner of the $10 gift certificate!! If you participate in the RRR Challenge and choose to follow me by email (upper left side column), I will share with you the digital collage sheet that I used to create this Halloween Ornie for FREE!! How is that for some extra incentive?? Here is the collage sheet below. If you would like you can purchase the collage sheet in my Etsy for $2.50. 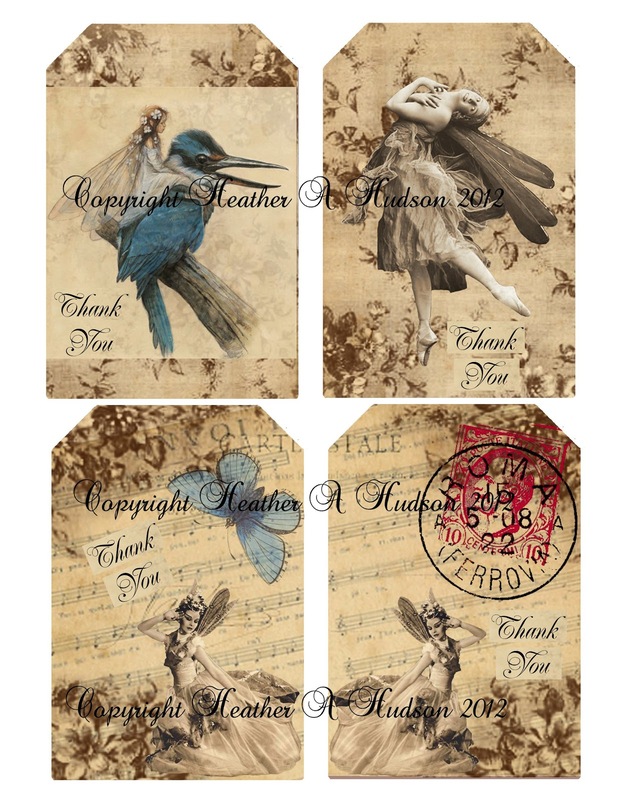 Just link up at really reasonable ribbon, leave me a comment below, I will use the email address you have signed up to follow me with to send you the collage sheet (with out the copyright watermark). I have placed three orders to Really Reasonable Ribbon, and each time I received my packages in a very timely manner!! You know how I can be....LOL...when I order something, my toddler side comes out and I want it right now! I will officially start my term in November!! I hope you will visit me there and play along!! It is week 33 at Sugar Creek Hollow and we would like you to "Show some Sparkle" on your Vintage or Shabby chic creations this week! I thought I would use the Grandma's House Digital paper pack for my background and snowflake. I used both GIMP and Inkscape to create the snowflake and snowflake offset. I created the shapes and then flipped them so the back of my ornament looks as fabulous as my front. Cut lines were made in Inkscape so that pieces could be cut out with my Black Cat Cougar. The image in the center is part of the Gecko Galz Happy Holiday's Jewel it Collection. I used hot glue to adhere the brown Blingy Bling mesh pieces and ivory mulberry rose from Pro 31 Designs. I used white box pleated ribbon (to create the buds beside the ivory rose), the burgundy leaves and yellow pom poms from Really Reasonable Ribbon. I used the Champagne sheer ribbon from RRR to add a beautiful bow to the top of my ornament (you can see it below). I used an antique brass flower bead as well as some ivory glass colored seed beads to add some more sparkle to my ornament. They really dress up my jewelry wire hanger. Here is the back. I used the "Christmas Greeting" image from Gecko Galz, added another ivory mulberry rose, brown blingy bling mesh, burgundy leaves and some brown sugar baker's twine (also from RRR) and a antique button. I hope you are inspired to create a Vintage or Shabby Chic style project with some "Sparkle" and link up with us at Sugar Creek Hollow this week! This week at Sugar Creek Hollow we would love to see you use Autumn Colors in your vintage or shabby chic creations. I was so excited to see that our challenge this week was to use Autumn Colors. I thought it would be fun to do something using an owl. I searched the web and found this very cute Owl template by Jane. I thought it would be a great time to use the Hocus Pocus and the Words and Music digital papers from Gecko Galz, to create my Owl. I used the template to cut out the different pieces for my owl. I used pop dots behind the owl's mask, wings, mid section and beak. I also used them to elevate the whole owl up off the card. I used the green and ivory jute trim as well as burgundy may arts leaves trim, orange swirl ribbon, orange mini ric rac, brown and white striped ribbon and brown sugar twine all from Really Reasonable ribbon. The yellow rosette, brown blingy bling mesh (tops of wings) and brown felt leaf trim are all from Pro 31 Designs. Here are some close ups. I distressed all the edges of the owl pieces with my scissors then inked them with Ranger's Vintage Distress inks. I added the brown sugar twine to my vintage buttons, two for the eyes, and one for the flower to the right. I did ink the edges of the text boxes, and used pop dots underneath them. Be sure to stop by the rest of the DT's blogs! Please stop by Jane's blog to see her fabby owl template.